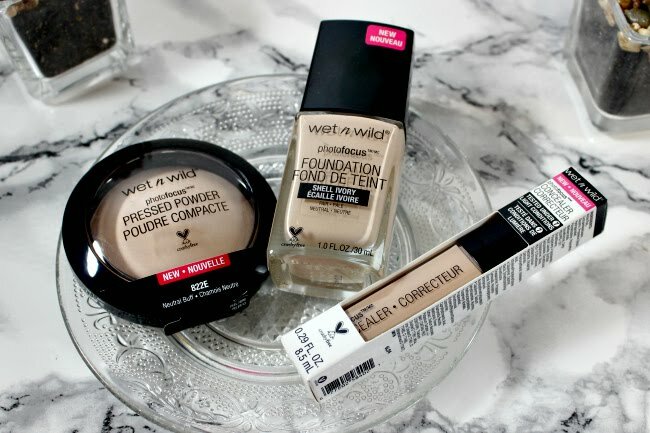 Wet N Wild launched some pretty fantastic products last year, and three the stuck out for me were in there new PhotoFocus line, the foundation, concealer and pressed powder. The three of them were all tested under 6 types of lighting to make sure that your skin is always photo ready. The truth is no one likes flashback with their foundation in their photos, and now you don't have to worry about it at all. 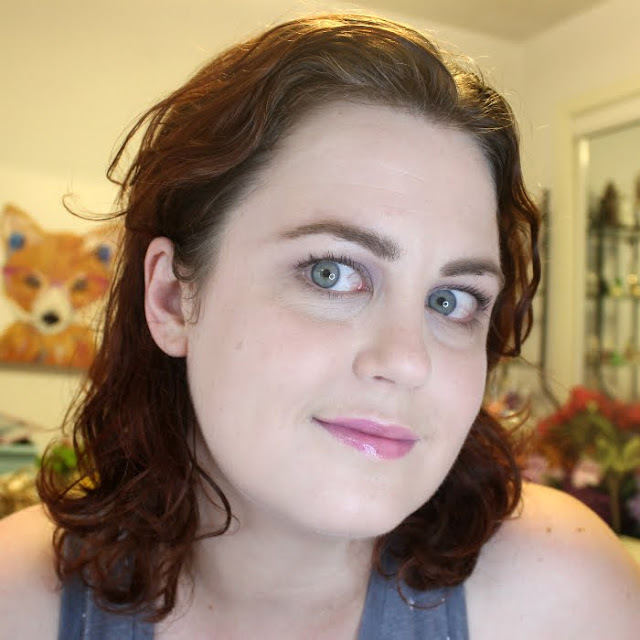 The foundation goes on really well and provides a pretty darn natural medium coverage look. There is a spatula attached to the lid, which is a great feature. I really hate dumping foundation bottles upside down to try to get the product out, I often waste a ton, so it is nice that I can just put some on a palette, or my arm, or right on my sponges. I prefer to use a sponge like a beauty blender or a Real Techniques sponge (which is my favourite sponge brand right now). I find I get a real natural finish and I can build up where I need a bit more of a medium coverage. 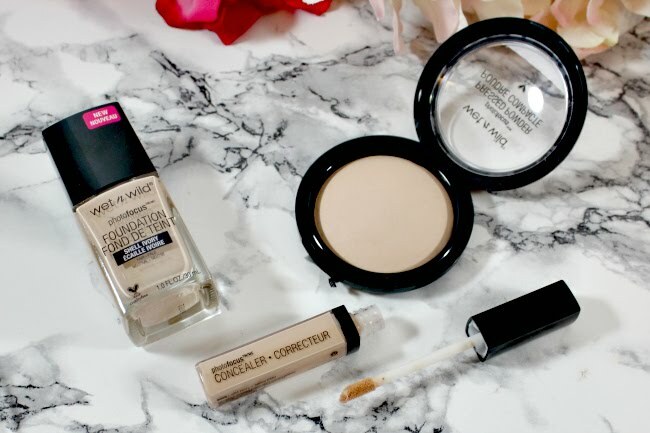 The concealer works really well with the foundation but can be a bit harder to blend out at times. I personally prefer a bit of a creamy texture to my doe-foot liquid concealers, but I do think it is really good for the price point. I usually put some concealer on my difficult spots, under eyes, around nose, breakouts and a red spot that is perpetually on my left cheek, then blend out with the same sponge I used for my foundation. The powder is surprisingly fantastic. I have dry skin and can find my skin isn't always a giant fan of powder, but this stuff sits so well on my skin. In fact, since I took these pictures I managed to use it so much that I hit pan. I never hit pan on anything. I will definitely be picking some more up soon. 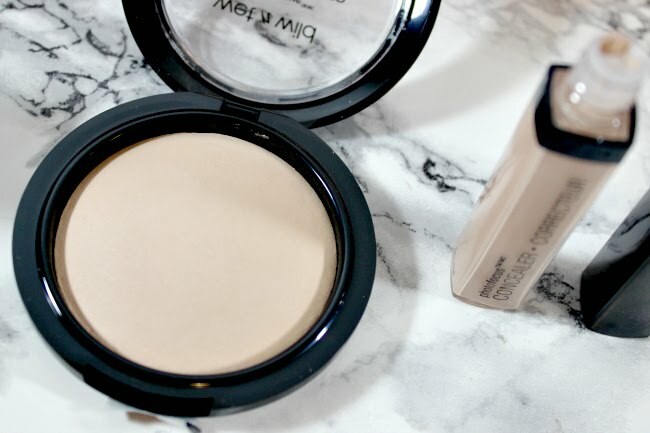 The powder doesn't tend to leave me with dry spots or patches, it mattifies my skin just right and can add that extra bit of coverage I needed where my skin is particularly red. I really like it to set where my concealer is and my t-zone. 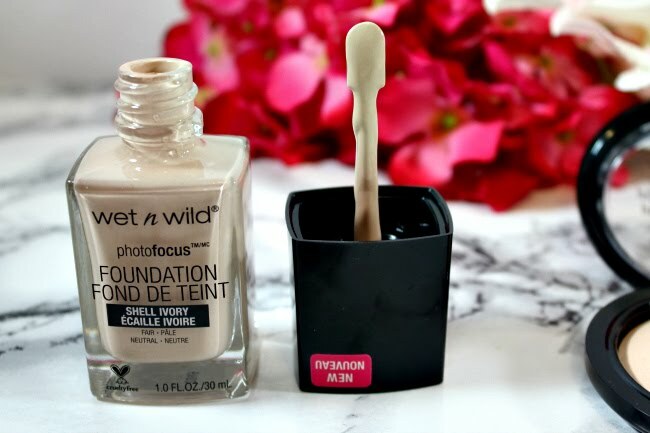 I find it works well with other foundations too or when I am just in need of some powder. Overall I am really enjoying this line. I like how the foundation looks on my skin and always photographs well, in fact, I went and got passport photos taken with it on. I like the spatula, it makes it simple to get the foundation out and without a mess. It doesn't oxidize on my skin and there are 20 shades that cover a good range of skin tones. 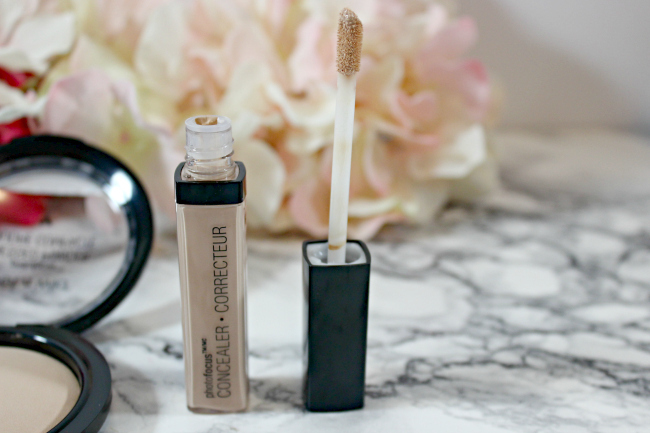 The concealer isn't my favourite, but it does do a really good job covering my trouble spots. I was so glad to cover my post acne marks just above my lips, lessen my undereye circles and red spot on my cheek without any fussing around. The powder is phenomenal, it is just great for my dry skin. My skin always looks real even after powdering. My skin also doesn't ever feel dry when using the products which is great. Finally, I love Wet N Wild's price point, it is by far my favourite value brand out there. *Some of the products were sent for review purposes and some were purchased with my own money. All views and opinions are my own.